ZALORA is the leading name in online fashion shopping, carrying an ever-expanding line of local and international brands tailored for consumers in the region. Our selection of over 50.000 products covers every aspect of fashion, from skirts to suits, sneakers to slip-ons, sportswear to watches, and so much more. Start your style journey by owning a well-rounded range of basics and off-duty essentials. Think t-shirts and denim jeans, baju melayu, palazzo pants, pencil skirts, summer shorts and sunglasses, and other everyday necessities. Find new inspiration from all our fashion-focused edits, ranging from spotlight-stealing evening wear , long dress to party-ready dresses. Stay sharp with suits and blazers made for the office and beyond. Don’t forget to match your outfit to the shoes too, be it classic flats, high heels, boots, or leather lace-ups. Prep yourself for all seasons by shopping from a complete range of outerwear, from lightweight jackets , leather jacket, denim jacket to cosy sweaters. Our fashion collections are complemented by all kinds of accessories -- think bags, beauty products and sports lifestyle gear. 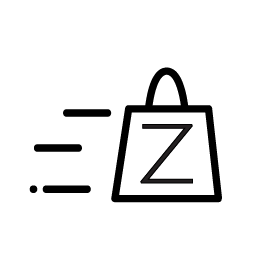 ZALORA shoppers can also shop according to the latest trends that are dominating the fashion runway, whether it’s a monochrome edit, athleisure styling, or this season’s highlights. With the widest selection of fashion apparel you can possibly find, and outstanding services like lightning-fast shipping, cash-on-delivery, and free returns, ZALORA brings you the best of Malaysia online shopping today!